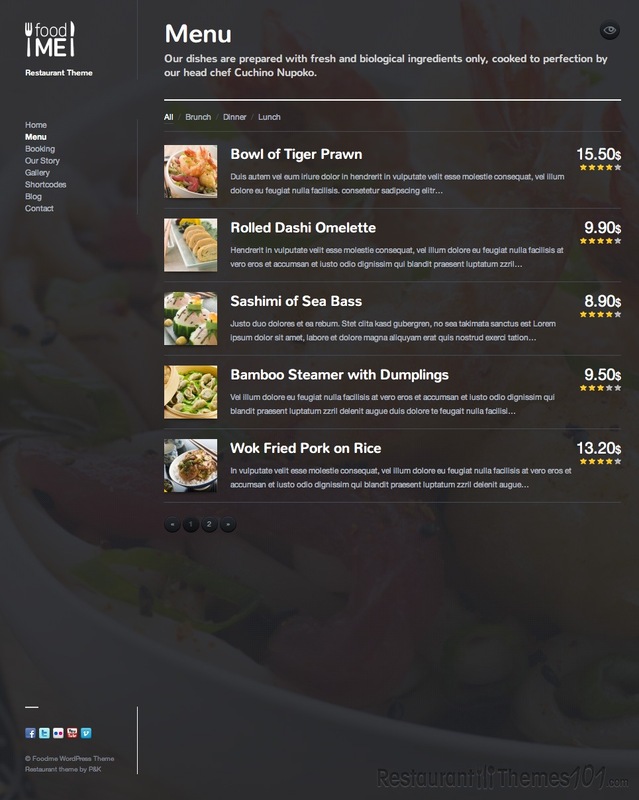 FoodMe is a very unique WordPress restaurant theme developed by ParkerAndKent and featured on ThemeForest. This theme is exceptional because of its attractive design. 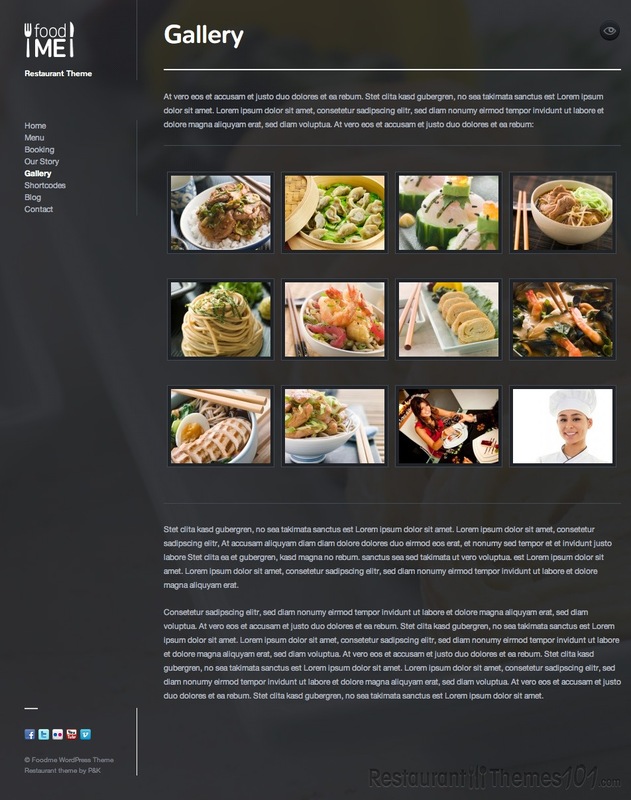 The layout of the theme is very minimal, but with huge background images that fit in perfectly with the simple, modern layout. 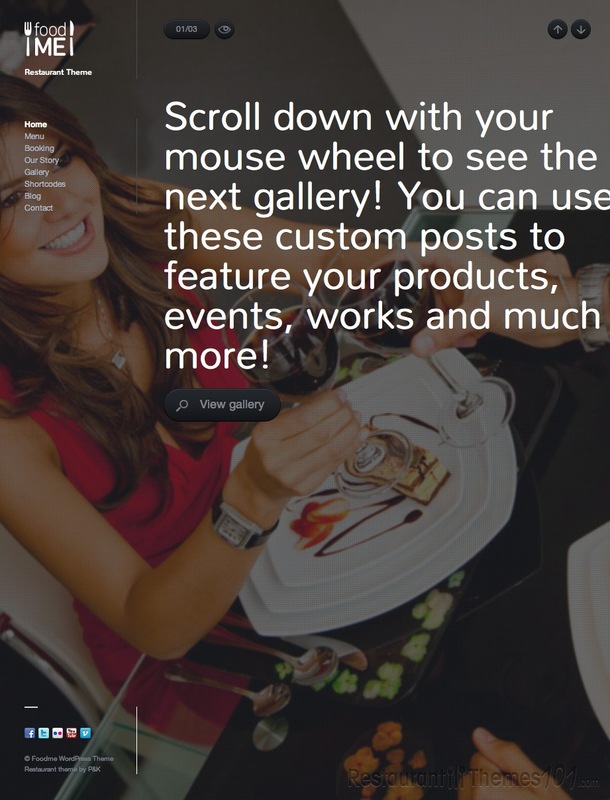 The theme is highly customizable and there are many ways to easily tweak it and make it a bit more personal by modifying the theme to fit your needs. You can add your own custom background images for each gallery or event, and you can add a slogan separately, without a gallery. 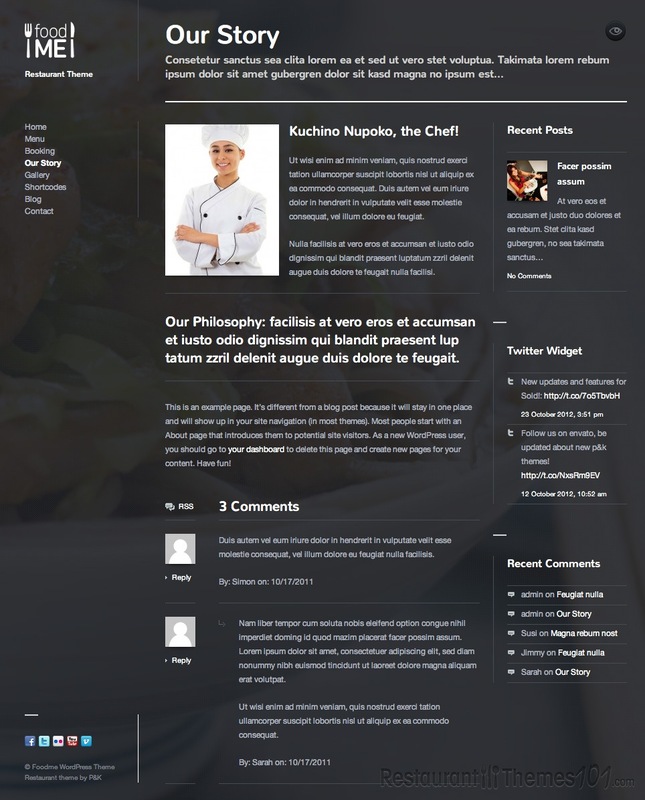 The theme has great social integration and several handy features that will make your website easy to browse and operate. Installing the theme will only take several minutes, and if you want to use the theme and modify it as an advanced user and you know a bit about CSS & HTML, you will be very satisfied with the amount of documentation provided along with the theme. 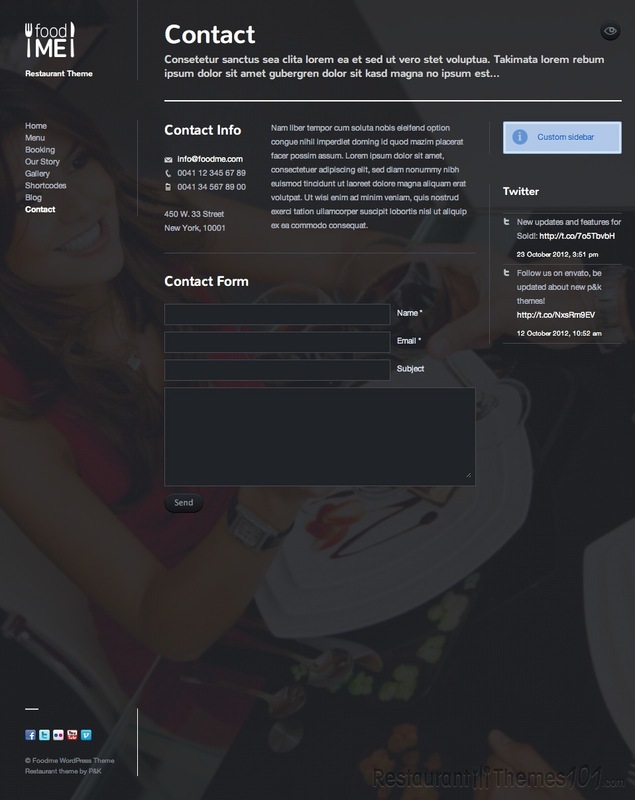 The theme is very customizable, and you will be able to make your own unique website and present your business to your visitors in the best possible way. 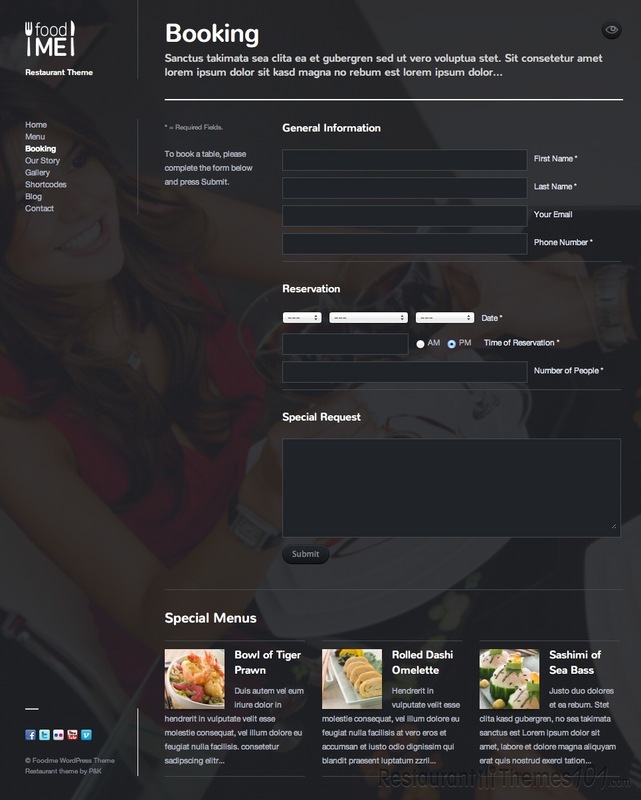 Though already said this is a restaurant theme, keep in mind that it is very adjustable, and with the right tweaks it can be used as a website theme for any kind of a business you might be running, not only for restaurants. 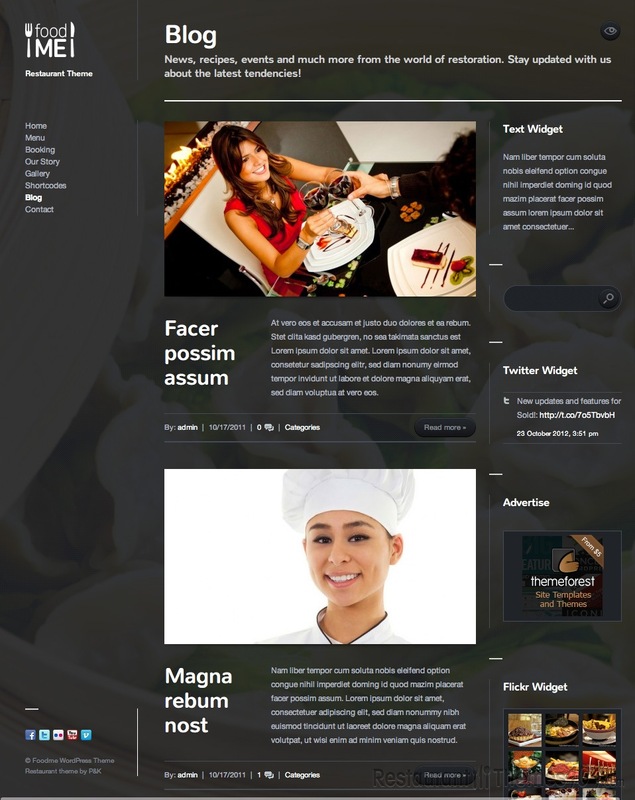 With 20 skins (10 light and 20 dark), full background images for any content, 30 widgets and 100+ shortcodes with a shortcodes manager, you can rest assure this theme features everything you need for creating a great looking fully functional website. There is a step by step demo content setup and you can install your theme easily by yourself and thanks to the new framework used in the theme, the theme options are very simple and easy to use. You will be able to run your website all by yourself without the need of a professional to do the work for you. The theme is translation ready so you can easily translate it in your own language, and it’s also compatible with the Contact Form 7 plugin.